Don’t you love it when a really cool concept gets off the ground? 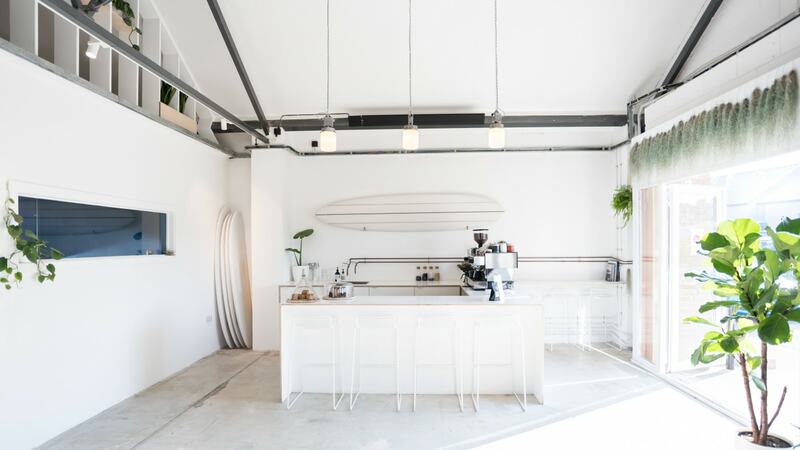 Located at the Wheal Kitty Workshops 100m from the sea on the North Coast of Cornwall, is Open - a space where surfboard building and riding knowledge is openly shared. It’s a space where bespoke trumps mass produced. A space where surfers can experiment and express their individuality. So as you can imagine - and see - it’s a space that we’re rather pleased to have our vintage industrial featured within. The vision of founders Emily and Mark Anderson was to allow everyone from beginners to pros the opportunity to intimately know their craft by shaping their own surfboard. You can experience this alongside expert guidance from visiting shaping talent from across the world, or by hiring the shaping bay for yourself by the hour. The Open Board Club allows members to access a library of surfboards from the world’s best shapers. So for a one-off or monthly membership fee you can surf a longboard at sunrise and a fish at sunset. You can also simply visit to sit, relax and read with freshly ground coffee on tap, with no rush to get you out of the door. Designed by stylist Emily, the interior of Open has a minimal aesthetic. It’s a clean and calming space with whitewashed walls throughout, retaining a sense warmth thanks to planting and other natural elements on display; glimpses of natural wood, neutral linens, rattan rugs and furniture, and woven lampshades in a paired back take on Cornish lobster pots. In keeping with the minimal aesthetic, three of skinflint’s aluminium and opaline glass 1950s factory lights salvaged from former Czechoslovakia are suspended from the double height ceiling, providing a focal point for the counter and coffee area. The lights feature the original manufacturer’s plaques and glass diffuser tying in with the other exposed industrial elements in the workshop.